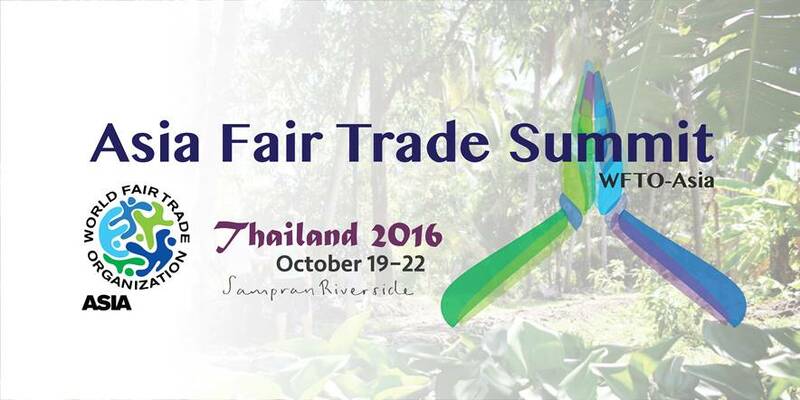 WFTO Asia invites you to attend the Asia Fair Trade Summit, a meeting of Fair Trade Organizations, government representatives, certifying bodies, and buyers to exchanges best practices in Fair Trade from 19 to 22 October 2016 in Sampran near Bangkok (Thailand). With global experts in the field, this event presents an opportunity for like-minded institutions to work together to enhance sustainable trade that benefits the most vulnerable sectors of society. The conference will focus on developing gender equity, living wage, and business growth within and through the Fair Trade movement.